The process involved with immigration can be very stressful for you and that is why we chose to work in this field. We make every effort to provide you with personal and friendly service. AZ Immigration takes pride in helping local people and families. Alejandro's goal as a certified legal document preparer is to provide procedural information and prepare the legal documents required for your case. This is the exact same process and service a big company would provide, and we are here to offer it at a lower cost and much higher service standard than most immigration companies. If, however, your case is complex and requires a hearing, or you would like legal representation at your interview, Alejandro can help you by recommending a reputable and fair local attorney. AZ Immigration is here to guide you through the complex and constantly changing process of immigration for both permanent and temporary immigration matters. Immigration law is federal law. We provide help to clients in all 50 States and all over the world. Our fees are based upon the services we provide, nothing more. We understand financial situations are different and we can work with any budget. Citizenship and Naturalization Matters - Assistance in the process of Naturalization, and obtaining or acquisition of the USA citizenship. Fiancé(e) Visa Petitions - Professional Assistance with fiancé(e) visa application process. Non-immigrant Visa Processing - Including, but not limited to: F-1 (Student visas); B-1/B-2 (Visitor Visa). 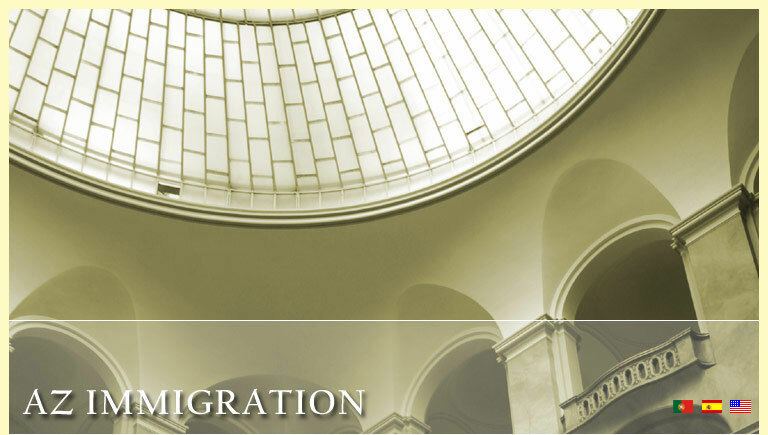 Business Immigration - TN, L, E.
Family-based Immigration - Immigrant Petitions filed by family members and Adjustment of Status/Consular Processing. VAWA Self-Petitions - Violence Again Women Act. Immigrant assistance to battered or abused spouses and children of USA citizens or permanent residents. U Visas - We will ensure that your petition is submitted properly, and it complies with ALL U.S. Department of State requirements and specifications. Keep in mind that in past years, one third of all applications were rejected only because they were not filed correctly! We provide legal translation and proofreading services to law firms, lawyers, companies, financial institutions, academic institutions, and private individuals. We translate from English (U.S.) to Spanish, Portuguese and German languages and from Spanish, Portuguese and German to English (U.S.). All translation and proofreading services are performed personally by our office, and never given to a third party or an agency. Because we do all of the work here in our local office, we can guarantee that your documents and information will remain confidential. We always stay in direct contact with our clients. We can translate many types of documents. Whether you need translation services for commercial purposes, communications or multilingual website translation services, we can provide the professional translation service that your organization needs. We match to the specific need of our customer. We understand the sensitive nature of our translation projects and we are committed to a policy of absolute confidentiality. We will maintain the highest standards to uphold the reputation and excellence of the organizations we support. We do not use machine translation; each request is handled personally by one of our translators. We also provide translations of shorter documents, such as birth certificates and marriage records, in a couple of days. All translations are valid for immigration, IRS, and other legal or government documentation purposes. You can learn more details about our interpretation services by contacting us today!